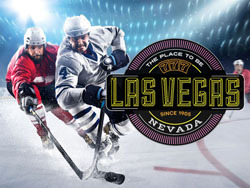 Heading to Vegas to follow your favourite Canadian team? We've done the homework, so you won't have to! Las Vegas is nothing if not a sports town with numerous places to catch a game, grab a beer and enjoy a bite. With enough options to make your head spin, we nailed down our Top 5 Las Vegas Bars for the ultimate sports fan! Blondies Las Vegas is located in the Miracle Mile Shops at The Planet Hollywood Las Vegas. If you're looking for a place to watch hockey, Blondies has more than 60 big screens ranging from 32 inches to 12 feet, ensuring that sports fans never miss a beat. Menu options range from burgers and pizzas to salads, sandwiches and subs, with a selection of steak and seafood entrées, too. Experience a whole new take on tailgating, with freely flowing brews on tap, refreshing cocktails, over 100 high-definition TVs, and couches that just won't let you go. With a choice of table seating, luxury boxes, bench seating, stool seating or bar seating, enjoy the game along with Emeril Lagasse's finest foods. Located on a 10,000-square-foot deck plus a great view of the Strip and the Fountains of Bellagio. Beer Park provides the Strip with their first rooftop bar and grill at the Paris Las Vegas. Offering over 100 beer options, with 36 beers on tap and a large selection of handcrafted cocktails, sports fans will have no shortage of drink options available while they take in the game. With dozens of hi-def TVs all around Beer Park, when the game does come on, it's easy to settle in, order up some beer and food and cheer on your team in style. 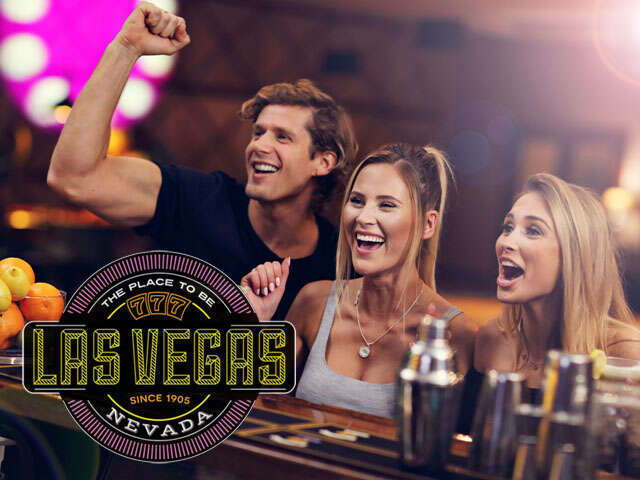 Step off the casino floor of the MGM Grand and into one of the newer and brighter sports bars on the Strip with a whopping 60 high-definition TVs. The walls are decorated with memorabilia from some of the greatest athletes; among them a hockey stick used in the Stanley Cup Finals. Try the signature dishes: South Side Street Dog, Beer Can Chicken and for dessert, Mini Mug Tasters. And don't forget to try their eclectic selection of more than 48 draft beers. You came all the way to Vegas to soak in the playoff atmosphere. Head over to The Park Las Vegas just outside of T-Mobile Arena instead! Fans should take advantage of the setting and enjoy food and drinks at The Park, which stretches between the New York-New York and Monte Carlo casinos in front of the arena. Restaurants within walking distance include Beerhaus, Sake Rok, California Pizza Kitchen, Buxie and Shake Shack. The Toshiba Plaza directly in front of the arena will also include live music and many opportunities to imbibe. Nothing beats being physically there so you can soak in the playoff atmosphere. Experience the ultimate fan experience and contact us today!